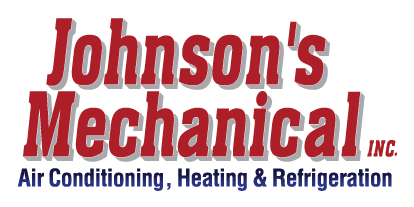 Air Conditioning Repair, Lakeland FL | Johnson's Mechanical Inc. Air Conditioning Repair, Lakeland FL | Johnson's Mechanical Inc.
We can help you with all your air conditioning repair needs in Lakeland. Fast – When your air conditioning stops working, you need a professional team who can respond quickly. We even offer 24/7 emergency service to keep you cool both day and night. Reliable – The last thing you need is to expect your air conditioning company to show up, and they never do. We pride ourselves on honesty and integrity, and we will be available to help you when we say we will. Knowledgeable – We’ve been helping our customers keep their homes and businesses cool since 1982, and that means we have the expertise to help with any air conditioning repair. We work on all major brands of HVAC units, no matter where your original purchase was made. It’s not always easy to know when you need an air conditioning repair. Your system might give a few warning signs when it’s starting to give out. These signs often include a lack of airflow or warm air, odors coming from the unit, or grinding, thumping, or squealing noises. If you notice any of these warning signs, give us a call at Johnson’s Mechanical Inc. We’ll send a technician to your home to diagnose the problem and come up with a plan for repair. Air conditioning repair services are more cost-effective than replacing the unit, especially when your AC still has years of life left in it. Our skilled and trained technicians provide a variety of services for all your HVAC needs. We provide repairs and other service on all major brands, regardless of whether we installed your unit or not. Our team members use high-quality parts in all repairs to ensure that your unit is in good condition after we finish the repair. When we tackle a repair at your home or business, we’ll work quickly and efficiently to minimize downtime and keep you comfortable. One of our main goals is customer satisfaction, which is why we go the extra mile to make sure you’re happy with the service you receive. At Johnson’s Mechanical Inc., we can help you with all your air conditioning repair needs in Lakeland. We provide quality and professional service, and we know you’ll see the difference when you choose us as your top air conditioning repair company. If you need to schedule air conditioning repair, or if you would like more information about our other services, give us a call today. We’ll be happy to provide you with a quote for repair services on your air conditioning system.